In this series of tutorials, we will take you through the whole process of installing Ghost Wire. From basic tips like terminating with a terminal block, to advanced tips like turning corners and splicing two pieces together. Check back often since this guide will be updated frequently with more Ghost Wire tips. If you have any questions that are not covered in these videos, or any ideas you would like to see demonstrated, please let us know and we will gladly make a video about it. 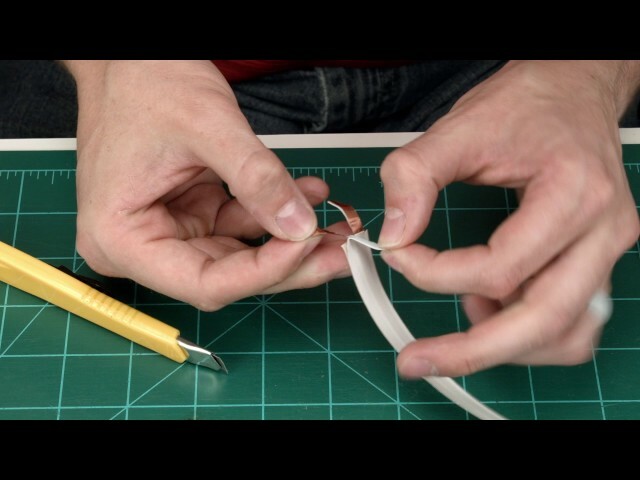 We recommend practicing these techniques on a short piece of Ghost Wire before attempting to try it out on your installation for the first time. This video shows you how to make a 90° Turn when running Ghost wire on the floor along a wall. The technique applies to both the 2-Conductor and the 4-conductor Ghost Wire. 0. Do NOT just make a 90° fold right away. 1. 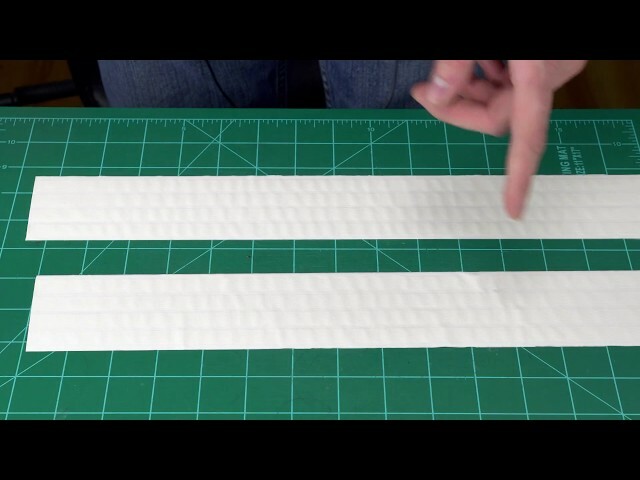 Fold straight back using a straight edge. 2. Make a 45° fold. 3. Make sure it is square with your corner, then flatten. 4. Peel off removeable backing. 5. Done. It is now ready to stick to the surface. 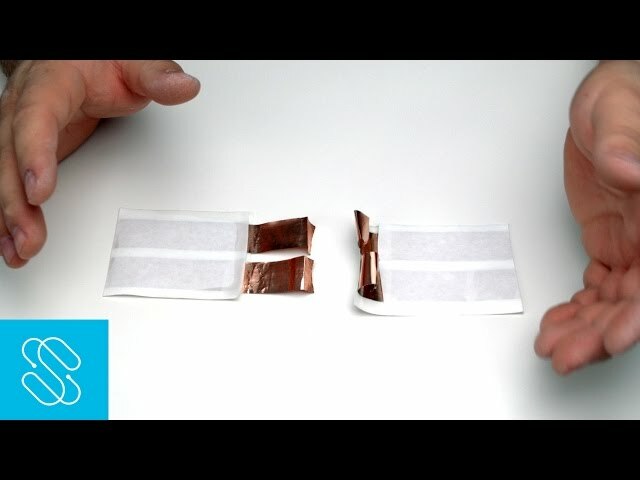 This tutorial shows you how to splice two pieces of Ghost Wire together in case you accidentally cut a run too short or need to extend it just a little longer. 1. Strip Ghost Wire as shown here. 2. 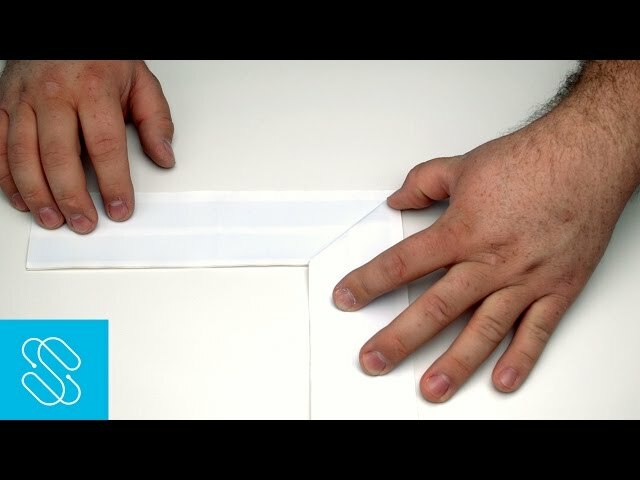 Remove adhesive from 1 of the pieces. 3. Leave 1 1/2" of backing on the second piece. 4. Fold leads to make a small lip for interlocking. 5. Make similar lip on other piece. 6. Carefully interlock both pieces together. 8. Roll leads onto themselves once. 9. Roll again leaving backing outside..
10. Fold back overlapping backing from both pieces. 12. Done, It is now ready for spackle or paste. 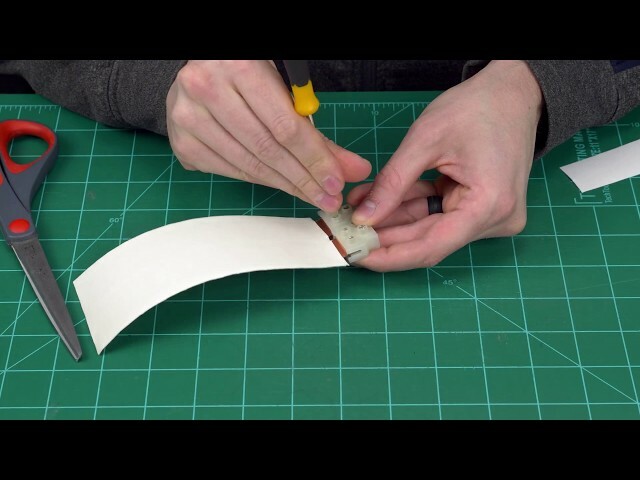 This video shows how to easily get rid of bubbles or wrinkles that may have ocurred when installing your Ghost Wire. This applies to all variations of Ghost Wire.